Sony has announced that it is closing UK-based games developer Evolution Studios, the company behind the MotorStorm series and Driveclub. The Japanese tech giant said the closure is part of its European restructuring efforts and follows reviews of “short and medium term” plans. "As part of this process we have reviewed and assessed all current projects and plans for the short and medium term and have decided to make some changes to the European studios structure. It has been decided that Evolution Studio will close,” Sony said in a statement. Sony confirmed that the action will result in some compulsory redundancies, but the company promised that it will try to find places for employees on other projects wherever possible. Evolution already let 55 people go last year after Sony moved focus toward supporting Driveclub as a service. Evolution Studios was founded in Cheshire in 1999 by Martin Kenwright and Ian Hetherington. The company was responsible for the successful World Rally Championship games on the PlayStation 2 and the MotorStorm series on the PlayStation 3 (and MotorStorm: RC on the Vita). In 2007, Evolution was acquired by Sony. It was the studio’s last title, Driveclub, where Evolution ran into problems. Originally meant to be a launch title for the PlayStation 4 in 2013, the racer was delayed by almost a year. Once it did arrive, its online features – a key component of the game - didn’t work for many people. Despite the shaky start, Driveclub received numerous upgrades and patches since its launch, improving it to the point where many consider it to be one of the better racing games available. 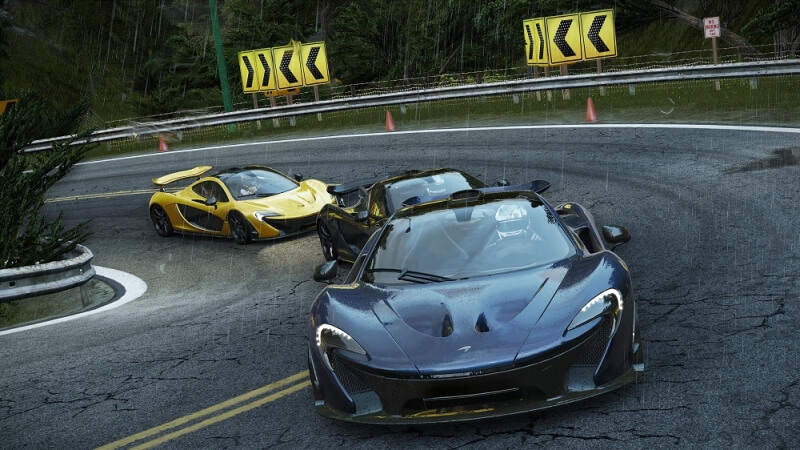 Evolution announced last July that Driveclub had surpassed two million sales. Evolution was also working on a PlayStation VR version of Driveclub; it’s unclear whether this will now be abandoned or moved to another Sony division. It’s been confirmed by Evolution community manager Jamie Brayshaw that Driveclub will continue to be supported by other PlayStation teams. "It's the end of an incredible era for Evolution Studios," Brayshaw wrote. "Driveclub will live on under the care of the awesome team at PlayStation and we hope it will continue to thrive in their safe hands and with continued support from all of you, the players, our community." March has been a bad month for the UK games industry; in addition to Evolution’s closure, it was reported that Microsoft had canceled Fable Legends and was in discussions to shutter the company responsible for the series, Lionhead Studios.